THE B-MOVIE NEWS VAULT: Scream Factory's New Blu-rays of HOUSE ON HAUNTED HILL and TRICK R' TREAT are to Die For! 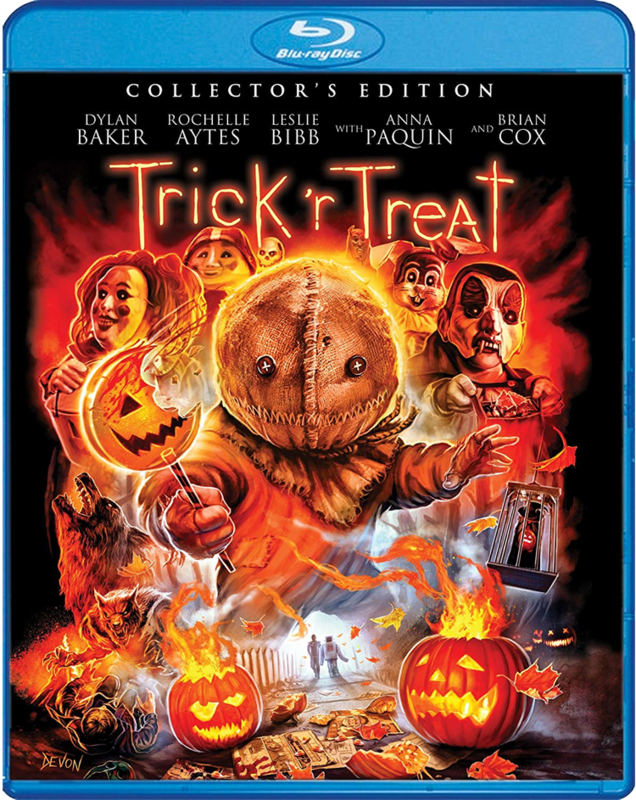 Scream Factory's New Blu-rays of HOUSE ON HAUNTED HILL and TRICK R' TREAT are to Die For! A SHOCKINGLY DECENT REMAKE AND ONE OF THE BEST HORROR ANTHOLOGIES OF ALL TIME GET MUST-OWN COLLECTOR'S EDITION RELEASES ON OCTOBER 9TH! I recall seeing HOUSE ON HAUNTED HILL when it made its theatrical debut back in 1999 and, aside from the weak ending, I really dug it. It has a great cast (though Jeffrey Combs is definitely underutilized), some truly creepy moments, and has cemented itself as one of the better modern horror remakes. After being shelved for years by Warner Bros., TRICK R' TREAT eventually came out and instantly found an audience. 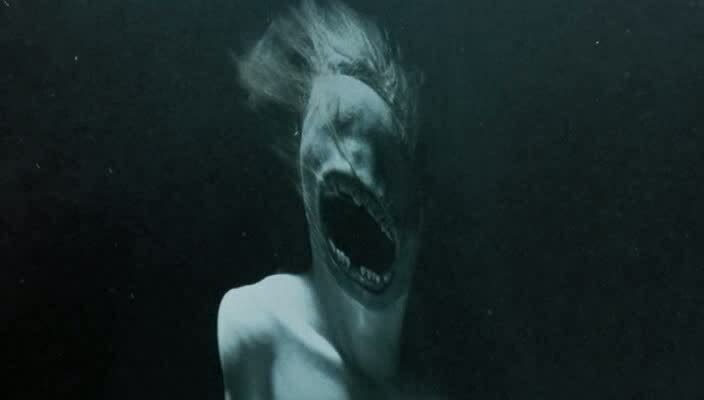 The film has built up a large cult following, and many put it in their regular horror movie rotation every October! And now both films have gotten the royal treatment from Scream Factory, with new 2K transfers and a multitude of special features! Synopsis: One night in the house, one million bucks, no questions asked. But there is a catch for anyone who accepts the offer. Murder is a way of life at the HOUSE ON HAUNTED HILL, a jolting, effects-ramped remake of the 1959 cult classic that starred Vincent Price and was directed by screen horror legend William Castle. Geoffrey Rush plays twisted theme park bigshot Stephen Price, who's hosting a scary/jokey birthday bash for his wife (Famke Janssen) at an abandoned institute for the criminally insane. Taye Diggs, Ali Larter, Bridgette Wilson, Peter Gallagher and Chris Kattan portray strangers mysteriously assembled for the event that could make them all very rich. Or profoundly dead. And you? We wouldn't start the party without you. I can't wait to see this nightmare fuel in stunning HD! NEW! 2K Scan From the Original Film Elements! NEW! Interview With Director William Malone! NEW! Interview With Composer Don Davis! NEW! Interview With Visual Effects Supervisor Robert Skotak! Never-Before-Seen Storyboards, Concept Art And Behind-The-Scenes Photos Courtesy Of Visual Effects Producer Paul Taglianetti! Audio Commentary With Director William Malone. 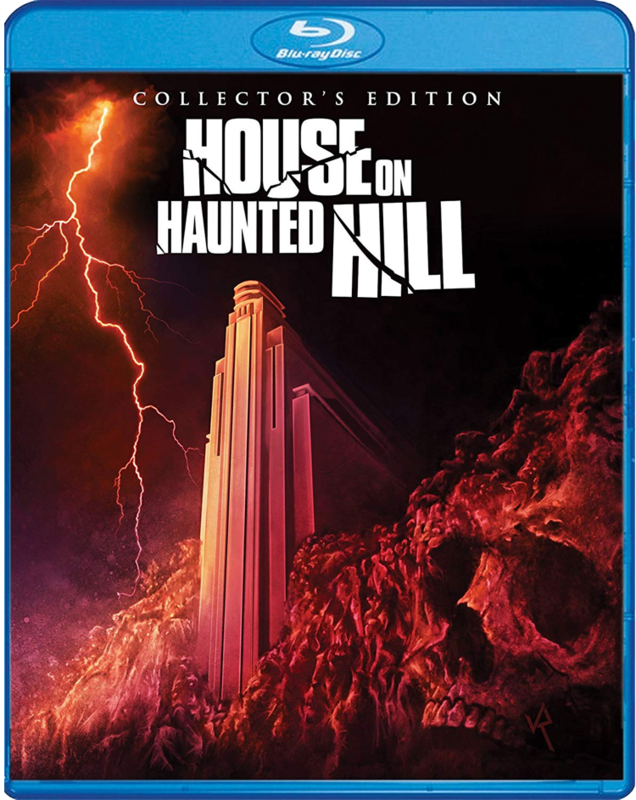 HOUSE ON HAUNTED HILL (Collector's Edition) comes out Tuesday, October 9th and should cost between $25 - $35! (Yikes! That's pretty steep!) 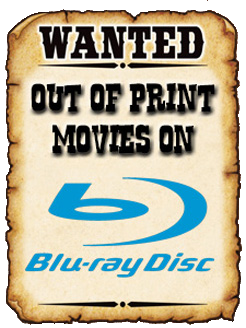 Order a copy today from AMAZON, BULLMOOSE, DIABOLIK DVD, or directly from SHOUT! FACTORY to get it a few days early! Synopsis: A creepy, darkly comic celebration of the scariest night of the year from writer-director Michael Dougherty (KRAMPUS, next year's GODZILLA: KING OF THE MONSTERS), TRICK R' TREAT takes the CREEPSHOW/TALES FROM THE CRYPT approach to nefarious new depths with four interwoven tales set on Halloween night. A high school principal (Dylan Baker) moonlights as a vicious serial killer; the quest of a young virgin (Anna Paquin) for that special someone takes a gruesome turn; a group of teens carries out a cruel prank with disastrous consequences; and a cantankerous old man (Brian Cox) battles a mischievous trick-or-treating demon. NEW! 2K Scan Of The Original Film Elements Supervised And Approved By Director Michael Dougherty! NEW! Tales Of Folklore & Fright: Creating Trick ‘r Treat – Including Interviews With Writer/Director Michael Dougherty, Conceptual Artist Breehn Burns, And Storyboard Artist Simeon Wilkins! NEW! Tales Of Mischief & Mayhem: Filming Trick ‘r Treat – In-depth Interview With Michael Dougherty On The Making Of The Film! NEW! Sounds Of Shock & Superstition: Scoring Trick ‘r Treat – Including Interviews With Michael Dougherty And Composer Douglas Pipes! NEW! Tales Of Dread And Despair: Releasing Trick ‘r Treat – A Look At The Release And Fandom With Michael Dougherty And Writer Rob Galluzzo! NEW! 2K Scan Of The Original 16mm Elements of Season’s Greetings – A Short Film By Michael Dougherty With Optional Commentary By Dougherty! NEW! Storyboard And Conceptual Artwork Gallery! NEW! Behind The Scenes Still Gallery! NEW! Monster Mash – A Story From The Trick ‘r Treat Graphic Novel! Audio Commentary With Director Michael Dougherty. Deleted And Alternate Scenes With Optional Commentary By Director Michael Dougherty. WHOA! Now that is what I call a Collector's Edition! Scream Factory's new TRICK R' TREAT is also due out on October 9th and costs between $25 - $35. Order a copy right now from AMAZON, BULLMOOSE, DIABOLIK DVD, or directly from SHOUT! FACTORY.